West Parish Burying Ground was established in 1781 as part of the Second Parish Church in Newton. The original parish church was located in Newton Corner. This second parish church was built in the west neighborhood of Newton to accommodate the growing population, and thus became known as the "West Parish". 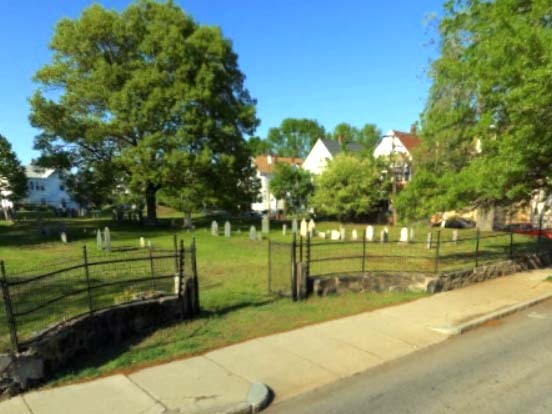 Although the cemetery was not formally established un 1781, burials had been taken place here as early as 1777. When the large Newton Cemetery was created in 1855, out of the popular rural cemetery style, West Parish Burying Ground declined in new burials. The Second Parish Church chose to deed the cemetery to the Town of Newton. The official last recorded burial was in 1891, though other transcriptions show tombstones with later dates. In 1901, the town made a detail record of burials, of which many later transcriptions, including this one, are based from. 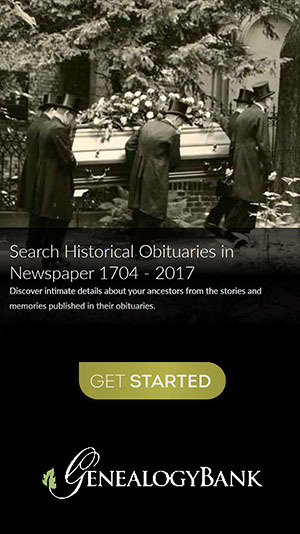 Records published here are based from a recording of burials performed by the Town of Newton in 1901, with additional records added by the author.
? ?, Susan ???????? ?nd, d/o John and Ann ???????? ?nd, d. Jan. 17, ??? ?, 23y, "stray stone"